Combining parts of a Big Brother “1984” plot with a raft of pop culture references, the animated 3D film succeeds through great comic writing, that is never lazy or expected. 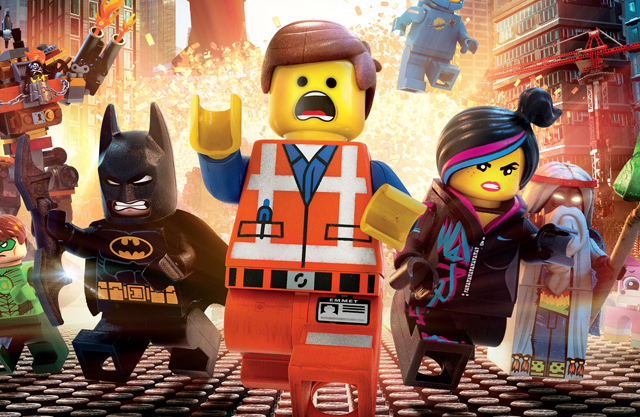 There are a million jokes you can make about Batman, Superman, Wonder Woman, Abraham Lincoln, “Star Wars” and so on, but all the jokes made in “The LEGO Movie” are sharp and impeccably timed. This is a film in which the laughs just keep coming, floating like waves on the Lego sea (yes, water is made of Legos, everything is made of Legos). To get happy for 100 minutes, put this film in the entertainment line-up. The Lego society is specifically structured. Each individual citizen is designed for their jobs, and they happily go about them – while buying expensive coffee and singing the big hit, “Everything is Awesome.” Emmet (voice of Chris Pratt) is one of those citizens, so bland that his co-workers can’t quite place him. Everything changes when Emmet discovers a infiltrator named WildStyle (Elizabeth Banks), who thinks Emmet is the “MasterBuilder,” a savior foretold by prophecy. There is a plan to actually destroy society for control, perpetrated by President Business (Will Ferrell), and Emmet becomes the unlikely Legotian to stop the plan. With the help of Batman (Will Arnett), a pirate named Metal Beard (Nick Offerman), a Unicorn Kitty (Alison Brie), 1980s Astronaut Benny (Charlie Day) and a guru name Vitruvius (Morgan Freeman), they might be able to save this interlocking universe. Submitted by Mr. Leland on February 8, 2014 - 12:21pm. Sounds like a hoot. Legotians? Why not Legonese? Lots of reviews have mentioned that it’s got something for the adults in it, so maybe I’ll take the nephews.